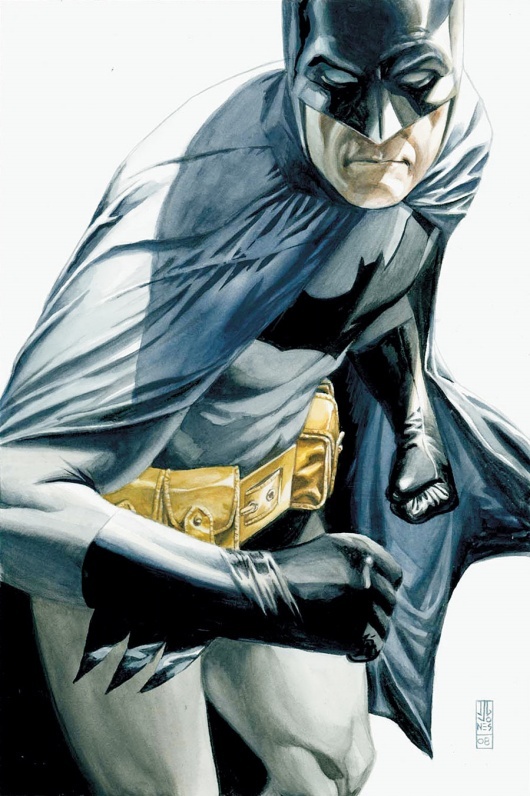 We wanna begin this series, which is designed to give newcomers a roadmap of sorts into the world of comics or to a certain character’s comics they may not be as familiar with as they would like to be, by starting with arguably the biggest superhero of them all (at least the most popular): the Batman. We will start with a quick look at where he came from and then follow up with lists of current and classic stories every Batfan should check out! 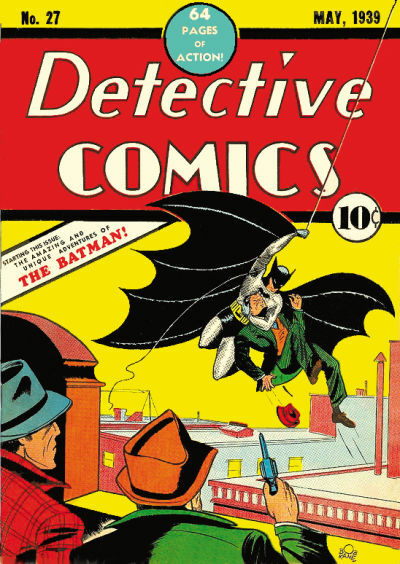 Batman started his life in May 1939 in “Detective Comics #27″ and was created by Bob Kane and (maybe more importantly) Bill Finger. The Dark Knight was a dark character from the start who even used a gun in his early years, but was softened up in the 40s (“Detective Comics #38″) with the introduction of Robin the Boy Wonder as his sidekick, to attract more readers and give Batman a “Watson” he could talk to, to get exposition across easier. The character went through a very campy and trippy phase, which was highlighted by the 1966 Batman TV show, which was produced by Bill Dozier (you know… BIFF! BAM! POW! Anti-shark-repellant, having a hard time getting rid of bombs etc.) and was brought back to his initial seriousness and darkness by Danny O’Neal and Neal Adams in the 1970s (The Secret of the Waiting Graves” “Detective Comics #395″). That grim and gritty vibe was deepened in the 80s when Frank Miller wrote the first real masterpieces of Batman (some would argue maybe two of the best comics of all time). “The Dark Knight Returns“ which dealt with an old Batman coming back after 10 years of retirement to once again fight against crime and injustice in Gotham City (1986). He faces off with a lot of his old foes and even fights a very close friend during this all time classic. 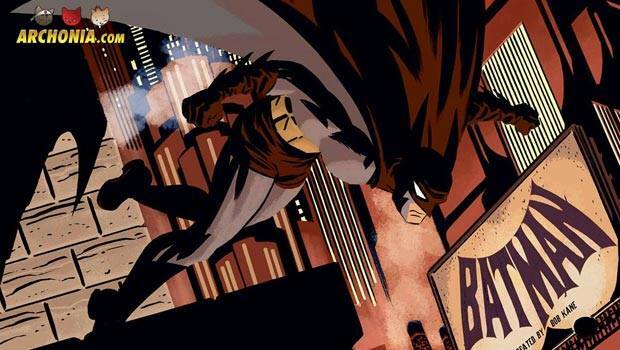 “Batman: Year One“ which showed Batmans origin for the first time in real detail and deals with a young Bruce returning to Gotham after having travelled the world to train for his war on crime. Its a real crime noir book (much more than a superhero book to be honest) and focuses on a very real worldly Gotham and featured Jim Gordon as the other main character who is fed up with the corrupt police force. A huge inspiration for Chris Nolans’s movie “Batman Begins”. Today, Batman is still very much a dark character, but what actually makes him so compelling is that he works in almost every form, color and medium. For every taste or mood, there is a Batman story. You want it artsy? “Arkham Asylum“. You want it horrorfying? “Death of the Family“. You want it for your kids? “Batman: Lil’ Gotham“. A modern detective story? “The Black Mirror”. Batman as a pirate, cowboy and caveman? “Batman: The Return of Bruce Wayne“. Sci-Fi Batman? Anything “Batman Beyond“. DC comics just rebooted their whole publishing line a few years back, so the easiest way to get up to speed would be to start here. 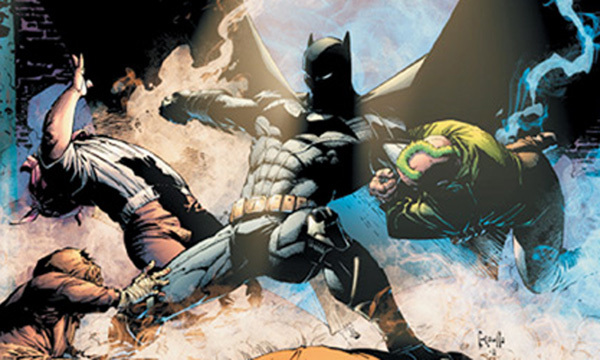 The New 52 Batman series are seperated into different titles, with different volumes. All you have to do is pick a Batman book and start at vol. 1. 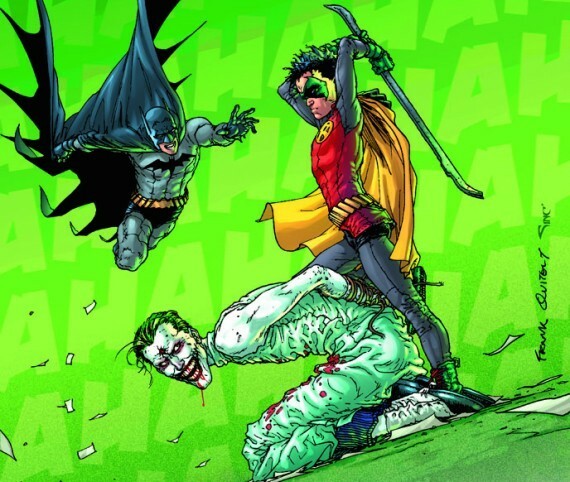 Another great title is “Batman and Robin“ which has the relationship of Batman and his son Damian at its core. You can read it on its own, but as I said before, some of those stories depend on you knowing what happens in the main “Batman” title. Apart from those two, which I would classify as the two main titles you have “Detective Comics“, “Batman: Dark Knight“, and “Batman Eternal“, that bring you even more adventures of the Dark Knight Detective. Next to those you also can choose to follow some of Batmans extended family of heroes in “Nightwing“ (which is the grown up first Robin on his own, who now goes by “Grayson“), “Batgirl“, “Red Hood and the Outlaws“ (which follows the second, former dead Robin and his team) “Catwoman“, “Batwoman“ and “Batman/Superman“, which is a really cool team up book between DC’s two biggest heroes. New series have started recently which give a look at aspects of Gotham City without focusing on Batman directly: “Arkham Manor“ shows a deeper look at Arkham, which found a new home inside Wayne Manor, “Gotham Academy“ which is about a mysterious prep school inside Gotham and lastly “Gotham by Midnight“ is about the dark and supernatural aspects of the city and detectives Jim Corrigan’s fight against it. All very worthy additions to Batman’s Gotham, if you wanna delve deeper into this corner of the DC universe. That should cover you New 52 wise. This is all you need to be current, or at least as current as you want to be. Its a lot of stuff, but trust me… its also a LOT of fun. and many more to list here. 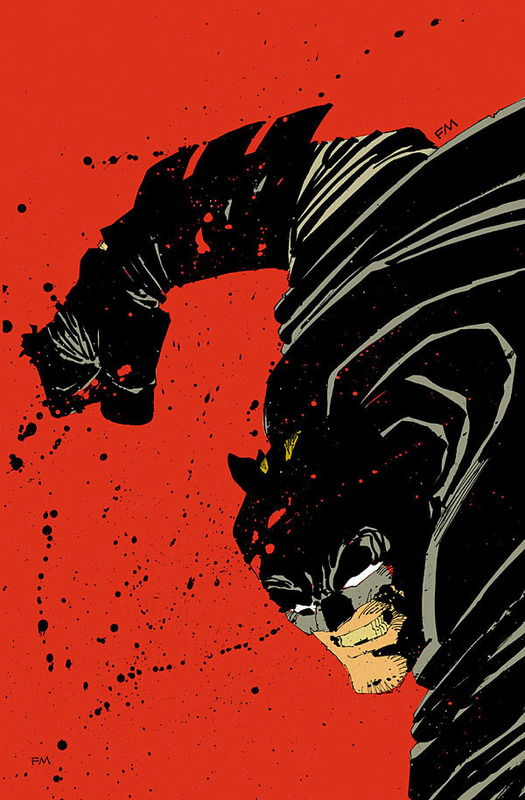 The Grant Morrison run of Batman is a special run of comics. Very smart, very meta, very dense, very wacky and very different. Its also just before the reboot of the New 52, so they are the newest Batman stories before the reboot happened. Since its a really meaty and different run I list it seperatly, to make following it easier. This is the order of the stories you need to follow if you wanna go down that rabbit hole (you really do!). 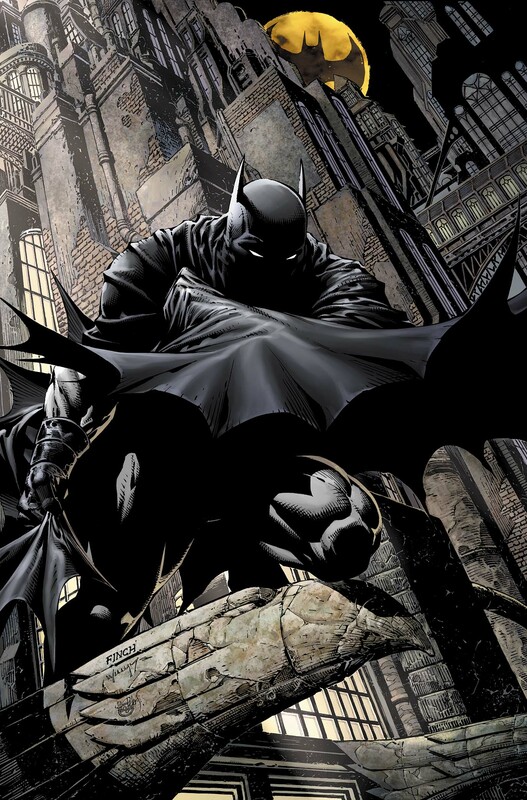 We hope this little Start to read: Batman helps you make your way into the character easier! If you have some suggestions feel free to leave them in the comments.